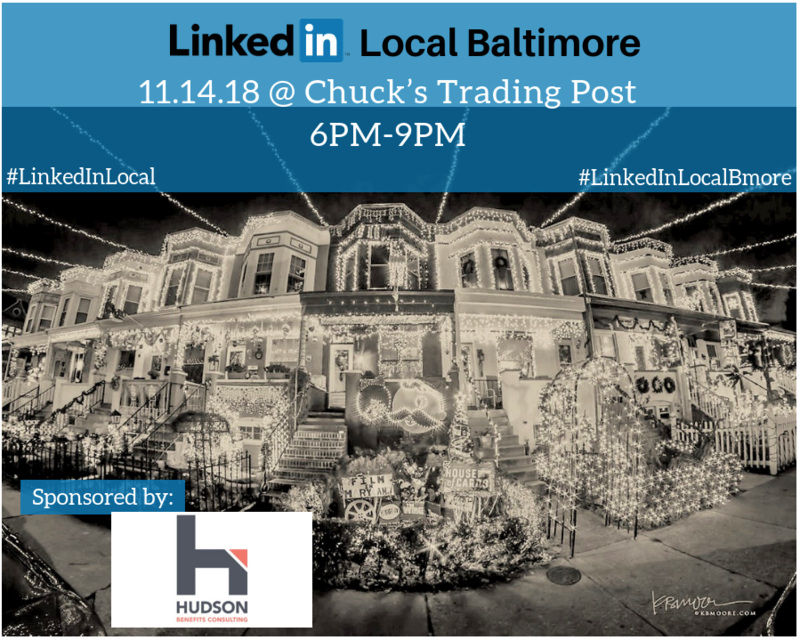 Join us on Wednesday, November 14th at Chuck’s Trading Post for our next #LinkedInLocal Baltimore Event! This month we are celebrating success! From Rabbi to Real Estate…in 2018 having raised over $30,000,000 of investor equity on bahalf of his clients, Steven “Yitzy” Halon facilitated the acquisition of over 1700 Multifamily units representing a total transaction amount of over $150,000,000. He is now Vice President of Equity Placement at Eastern Equity Advisors, and will share his story of how a Jewish kid from Brooklyn reinvented himself to become a Baltimore local and was named as one of Mid- Atlantic Real Estate Journal’s Top 40 Under 40 at just 29 years old. Complimentary appetizers and one free drink ticket is included. Cash/Credit bar after first drink. Enter our raffle to win an Executive Education Class of your choice at Johns Hopkins Carey Business School! A special congratulations to our friend, Owen O’Donnell of Owen Michael Cosmetics as he has been awarded Baltimore’s Best Makeup Artist by Baltimore Style Magazine! We are celebrating his success at this event and Owen will be there with his new cosmetic line ready to get you glammed.